Goldenways Coffee milik Dr. sc. agr. Ir. Sabam Malau memberikan donasi sedikit kepada World Coffee Research di Amerika Serikat. Goldenways Coffee belonging Dr. sc. agr. Ir. 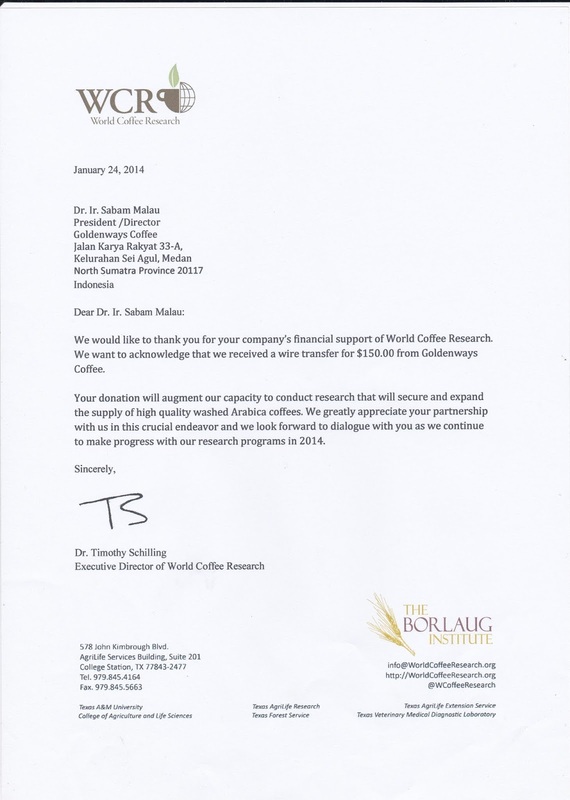 Sabam Malau donated a small money to World Coffee Research located in the USA. World Coffee Research' s mission: Grow, protect, and enhance supplies of quality coffee while improving the livelihoods of the families who produce it.